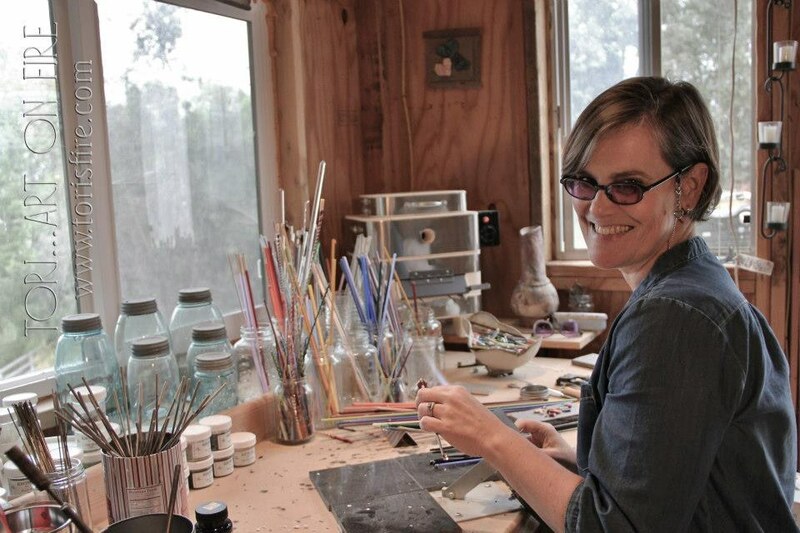 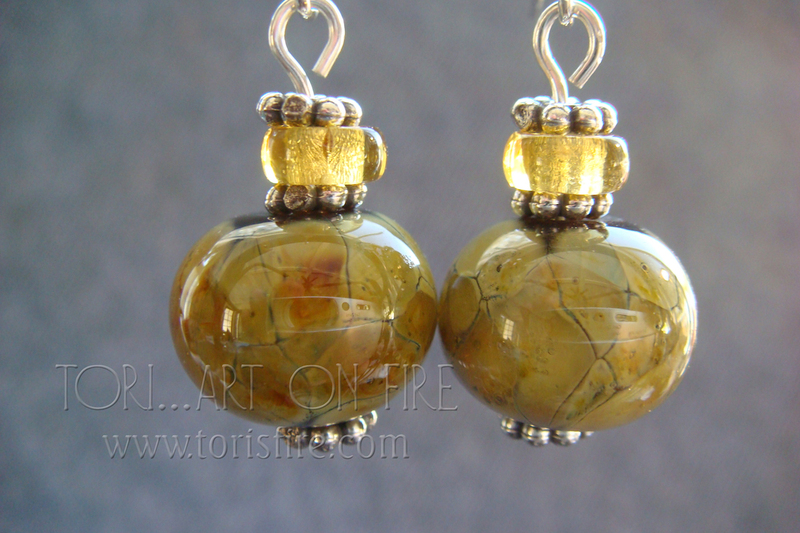 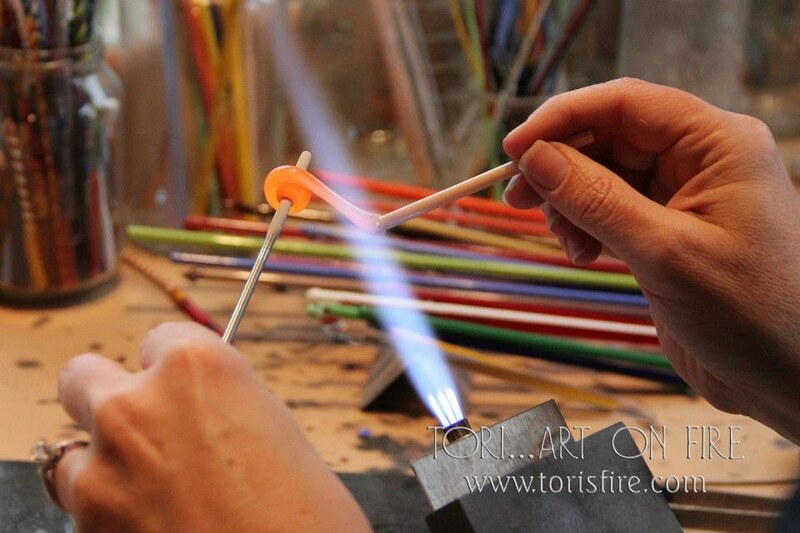 Lampworking is the term used for working with hot glass in a flame. 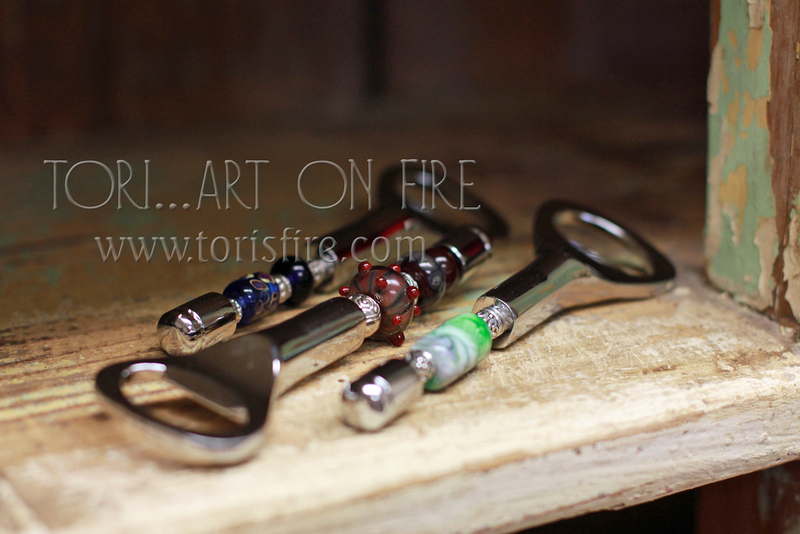 I currently work with Effetre/Moretti glass in a oxygen/propane mix torch. 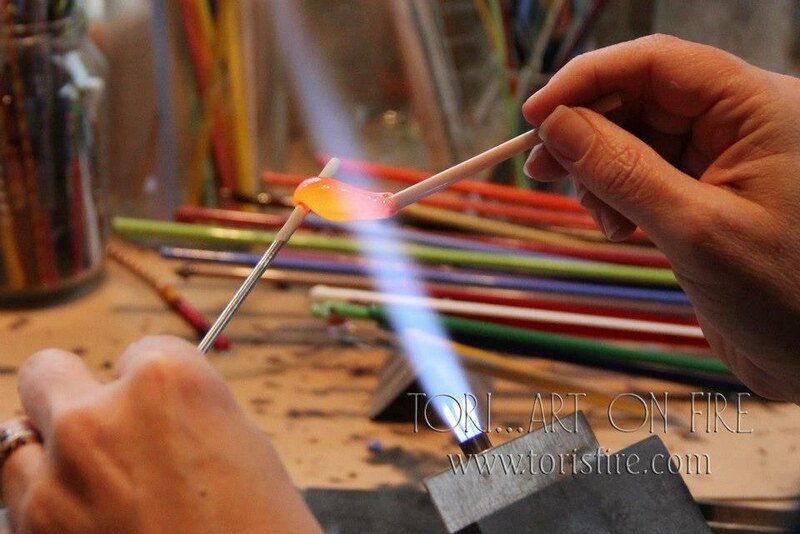 To make each bead, I heat glass rods to a molten state, approximately 1400 degrees, and then wrap the glass around a steel mandrel. 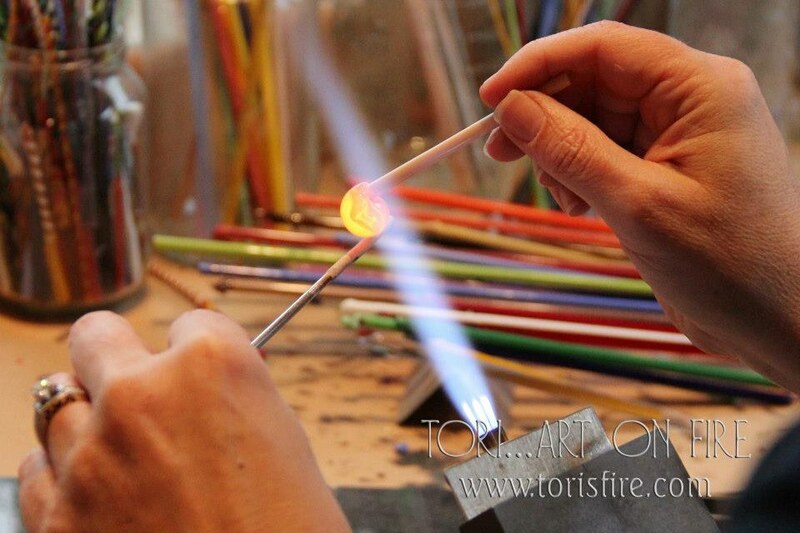 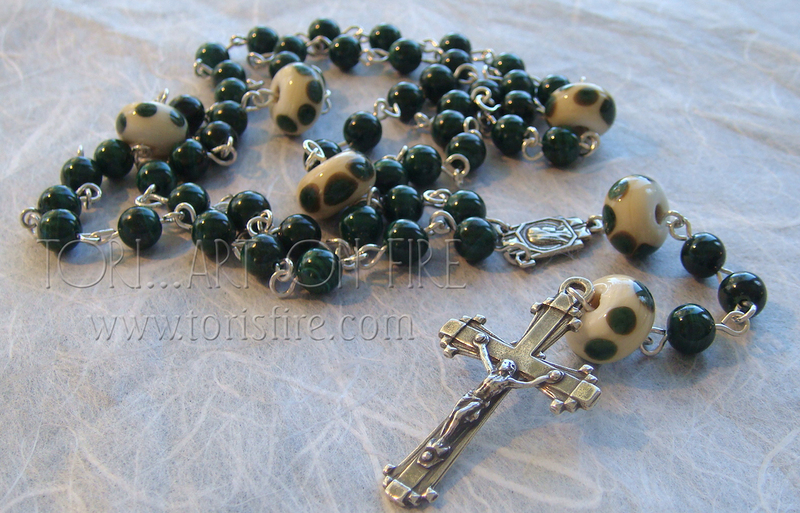 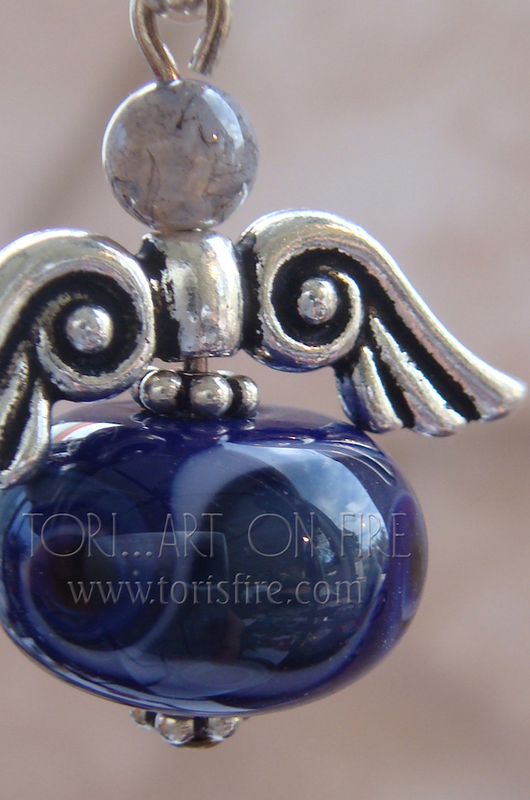 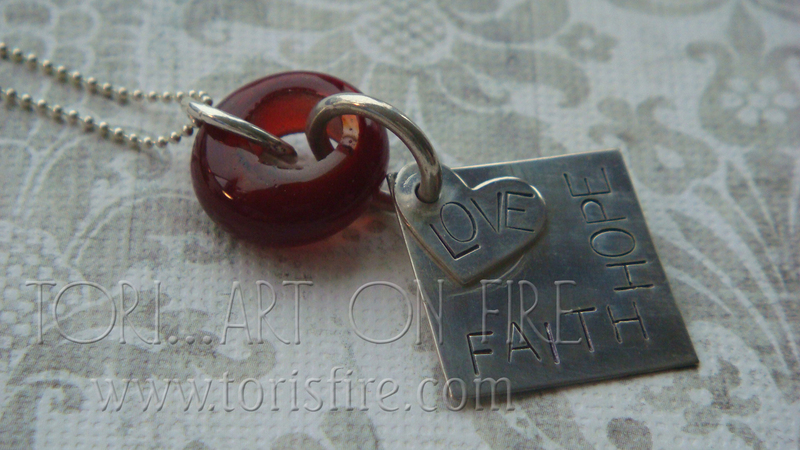 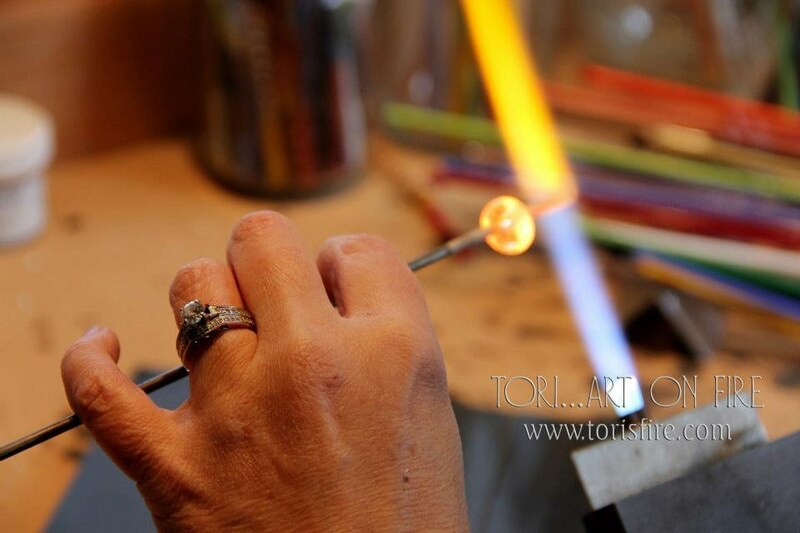 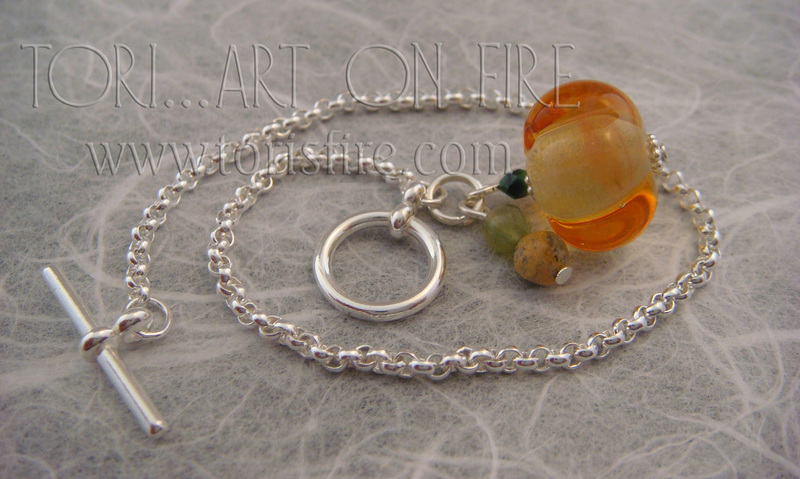 The bead is then worked in the flame as additional glass colors are added to finish unique designs. 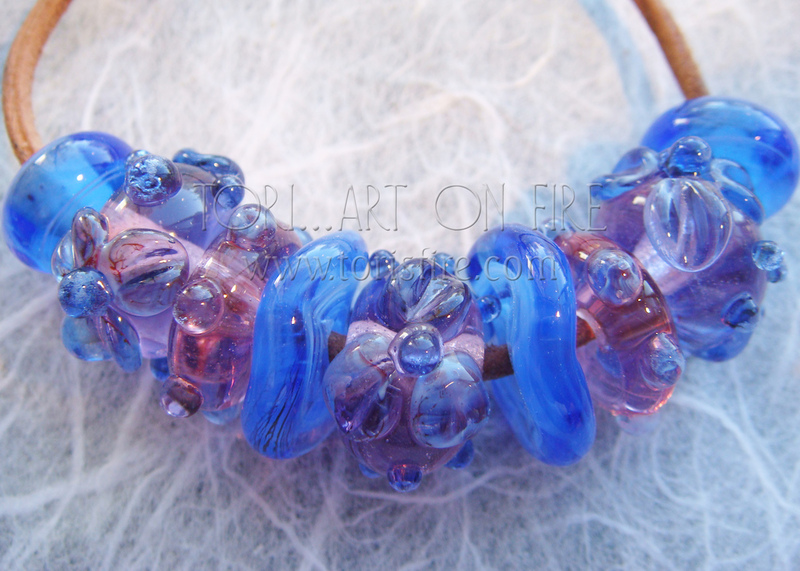 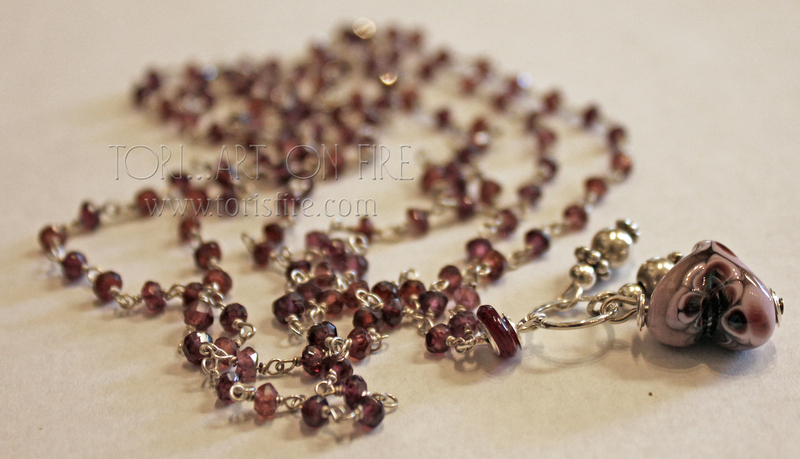 Although at first glance some beads appear the same, each is actually it’s own tiny work of art. 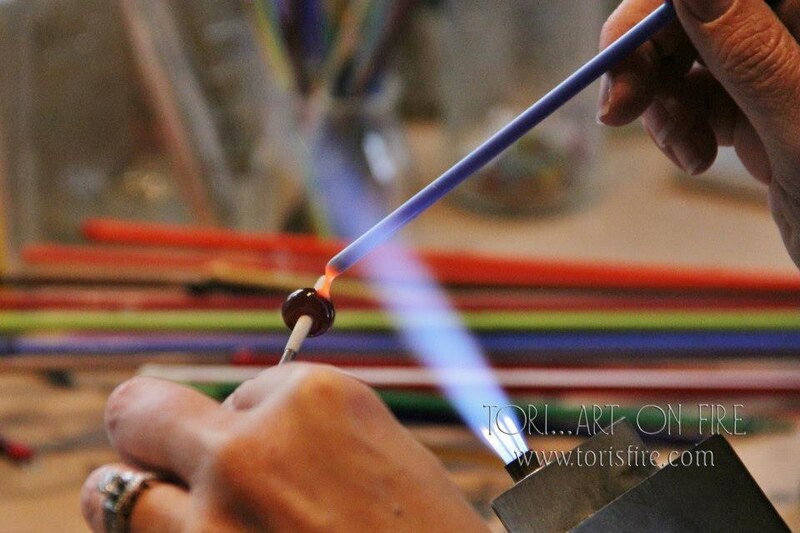 Once the beads are finished, they are placed in a kiln to be annealed for lasting durability and to ensure that the beads and jewelry you purchase today will maintain their beauty for generations to come.